Objective: Given a linked list, swap every kth node in that. If at the end of the list remaining nodes are less than k, leave them untouched. 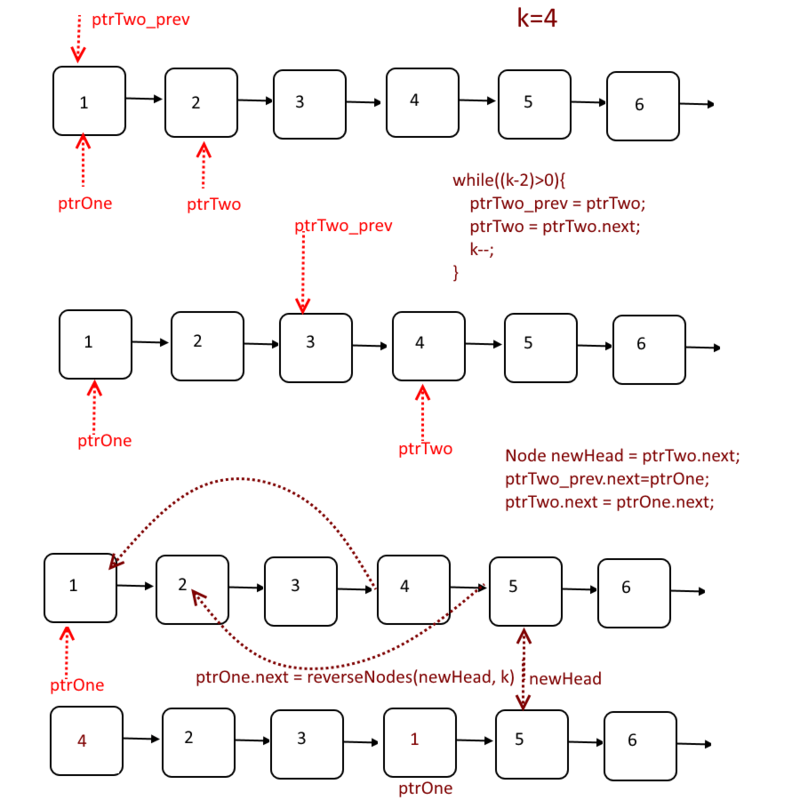 Input: A linked list, A number k.
Take 3 Pointers, ptrOne, ptrTwo and ptrTwo_prev. ptrOne and ptrTwo_prev points at head node. ptrTwo points at next node of ptrTwo_prev. Move the ptrTwo and ptrTwo_prev k-2 times, since we need one pointer each at both ends for swapping so move pointers only k-2 times. Create another pointer , NewHead and point it to ptrTwo.next. Now we have ptrOne at head and ptrTwo at kth position, swap them with the help of ptrTwo_prev. This function will returns the head. Now make a recursive call with newHead.